The labour market in Britain is currently very tight, with record employment as well as unemployment at its lowest since 1975. With job creation outstripping the number of available workers, employers are having to compete harder to attract the right talent to sustain and grow their business, whilst economic developers are needing to do more to ensure that the businesses in their area are getting the workers they need. Today we launch a new report, which looks at how well different areas of the country are succeeding in attracting talent into their area. 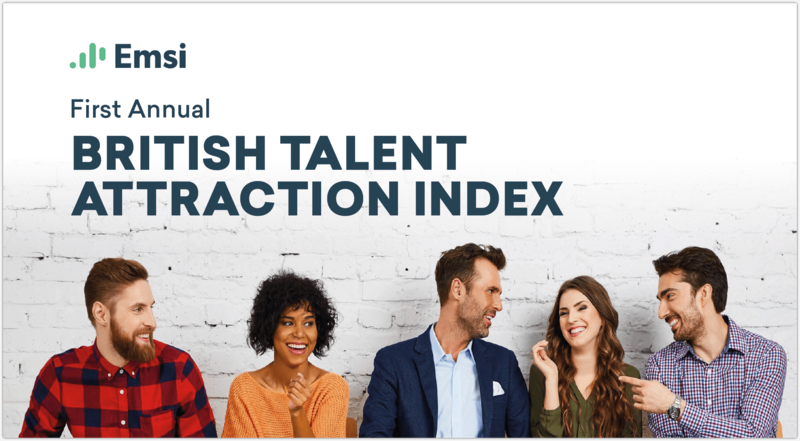 The British Talent Attraction Index is a unique research piece, looking at a number of different demand and supply metrics in order to create a ranking, by Local Authority, in terms of job creation, drawing in new residents, and attracting a greater share of skilled workers than other regions over a five year period. What is particularly exciting about this report is that it is definitely not just another confirmation of the economic importance of London, the South East and other major cities. Successes are nationwide, and there are some genuine surprises in the rankings. For example, do you know which area of the country has seen the fastest job growth over the past few years? How about the fastest growth in skilled jobs? Can you put your finger on the place that has seen the highest net migration? What about the biggest growth in people with a higher education qualification? We’d be very surprised if you know all the answers to these questions, for the simple reason that we had no idea ourselves, before we looked at the data. So why not take a look? You can download a free copy by clicking here or on the image above. Alternatively, you can read it as a flipbook at the bottom of the page. But there’s more. Within the report, you will see that there are a series of Focus pages, where we look at the winners of the individual categories in more depth. We have also produced these Focus pages for every Local Authority area in the country, so that you can see how well your area is faring on all the measurements of talent attraction that we have used. To get your free area Focus, click the button below. If you would like to find out more about how our data can help you understand your area better, contact us now.